You are buying the First Quality Prevail Protective Underwear 2XL 68"-80" PV-517 48/cs - Model #PV-517 from First Quality. First Quality is a leading manufacturer of incontinence products including briefs, liners, underwear, diapers, and underpads. At ADW Diabetes, we do our best to offer the complete product line by First Quatliy with superior service and fast shipping. 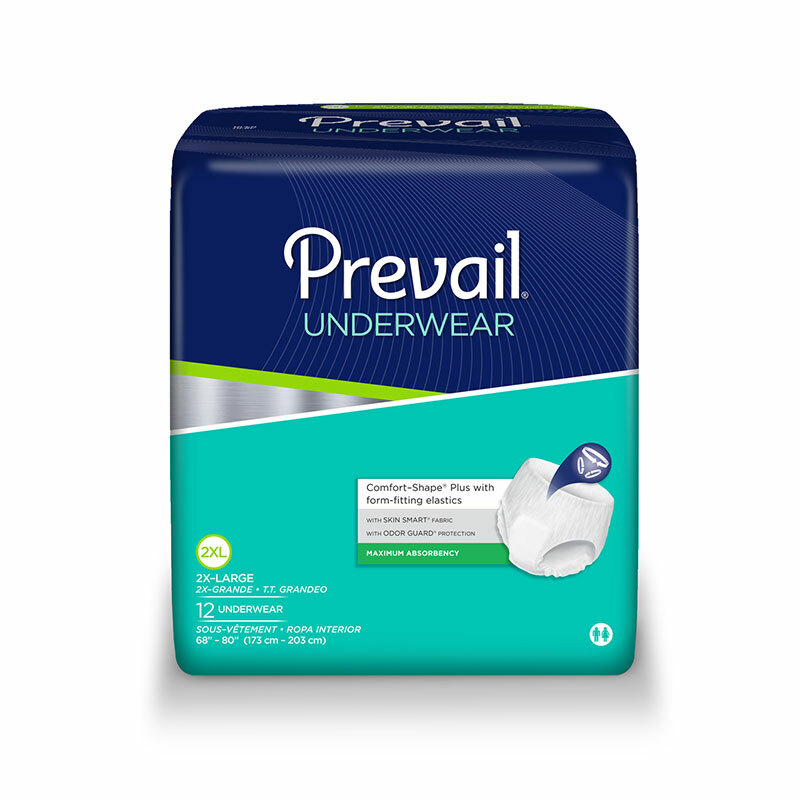 First Quality Prevail Protective Underwear 2XL 68"-80" PV-517 48/cs - goes beyond protecting from leakage associated with moderate leakage associated with urge and mixed incontinence. It has improved efficiency by reducing odors and promoting skin health. Advanced discreet core technology has exceptional performance with added comfort and discretion. First Quality Prevail Protective Underwear provides maximum leakage protection and comfort.